Easy-to use measurement modes, as well as additional features such as connection to a personal computer (to plot Smith diagrams, etc. 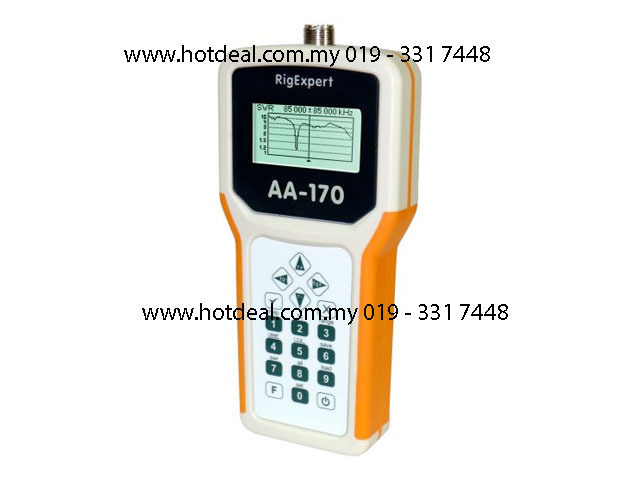 ), make RigExpert AA-170 attractive for professionals and hobbyists. It is quite important that graphical display of various parameters over a wide frequency range is a key feature of these analyzers which significantly reduces the time required to adjust an antenna.